Payability is an accelerated cashflow service for Amazon sellers. It offers solutions for quick and easy daily cash flow, same day balance transfers, and more. We compiled available Payability reviews online and found that it has generally positive ratings. We also compared the most popular pricing options available. Want to know the top amazon tools for small business? Read our Payability alternatives guide. Users who gave Payability a positive review like that they can get their Amazon funds immediately as opposed to the usual bi-weekly payment process. There weren’t a lot of negative reviews for Payability, but some users experienced some miscommunication with regard to how much they charge for their services. Some users also had issues with the promptness and efficiency of customer support. A reviewer from Trustpilot said that Payability is a great step between a line of credit, a loan, and gaining access to capital. He also said that if waiting two weeks to access your money from Amazon means you lose out on sales, then Payability is a good solution. A reviewer from Trustpilot said that he likes the service overall, but the business hours (EST) are too limited for tech support, which is needed often for credit card processes. He also said that response times are too slow — even after he speaks with support, it can still take days before he can get the answer he needs. A Payability account is free. Payability only charges a flat fee worth 2% of monthly sales that users can offset this with the 2% cashback from using the Payability Mastercard to receive payments. Users are encouraged to call for a quote if they have sales of over $50,000/month. Best Amazon Seller Software for 2018 – Read our buyer’s guide for a comparison of the top three Amazon Seller software. We compare SellerLabs vs SellerEngine vs Sellics to give you an idea on which will work best for your business needs. Who’s The Best Amazon Price Scanner App? – In this article, we compare Profit Bandit vs Scoutify vs Amazon to give you an idea on which will work best for you and your business. The video below explains the process of instant Amazon balance access through Payability. When choosing an Amazon tool, it’s important that the software integrates with other applications your business is currently using. Here is a list of some of Payability’s popular integrations. Not sure if Payability is the right fit for you? Read our reviews of all top Amazon Tools for comparison. Payability’s offer of daily payouts for Amazon sellers is a great way to get the money you need to reinvest it into more products during a busy shopping season (holidays). Otherwise, you’re waiting two weeks for the Amazon payout. Seeing as how I’m a brand new Amazon seller not turning a big enough profit yet ($2,000 monthly in gross sales), I didn’t qualify to use either of Payability’s services. If I had to describe Payability to someone who hasn’t done any research into it, I’d tell them it’s a little like a payday loan or an advance, but you don’t pay interest (also known as factoring). You pay a fee, and generally it’s between 1% to 2% of your gross sales for established Amazon sellers. The only time you might pay more than that in fees is if Amazon does a rollover of your balance from one pay period to the next, in which case Payability would doubly charge you because they had to wait longer for their money, but that can never exceed 8%. Cancelling your contract with Payability is a bit like cancelling your cable bill. They have a 30-day cancellation policy, so you’ll pay them a fee for two more pay periods before you stop receiving money through them and go back to getting your Amazon payouts. As an alternative to a business loan, credit card, or other type of advance, Payability is a good option, as long as you understand how it works (more on that below). Essentially, you’re offering a cut of your sales to Payability for early access to your funds, which can be helpful for some Amazon sellers. 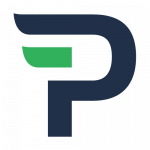 When you break it down to the simplest explanation, Payability is a payday advance service for Amazon sellers, which can be a good thing for those who need daily positive cash flow. I only wish the details of it all had been laid out more clearly, so I could see immediately whether it’s for me or not.